When we first heard about this stunning home that MyCladders had completed in the Gold Coast hinterland, we just had to see it for ourselves. Perched up high on a mountain, overlooking stunning bushland scenery, it did not disappoint. MyCladders, who specialise in architectural cladding solutions, were given a very specific brief from the homeowner. The house is situated on the edge of a bushfire zone, so materials needed to comply with certification for the area, and they envisioned a clean, simple design. Having recently learned about the upcoming launch of the COLORBOND® steel Matt range, Kendrick knew exactly what to recommend. 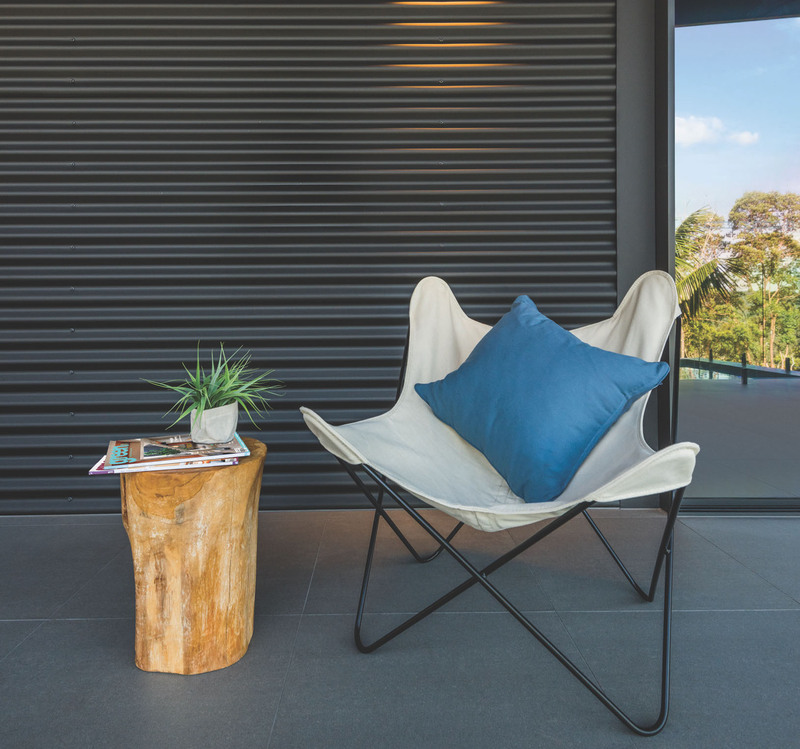 The home, now the star of our current magazine ad campaign, features standard corrugated profile cladding in COLORBOND® steel Monument® Matt, and roofing in COLORBOND® steel Monument®.